This culinary four course adventure treats its guests to great food, delicious cider, music and company. This culinary four course adventure treats itâ€™s guests to great food, delicious cider, music and company. Award-winning ciders are served at the home of Jane and John Nicholson whose ancestors planted the first Bramley seedling in Northern Ireland. Taste and celebrate the best of local food specially created by our award winning Food Heartland members and producers. 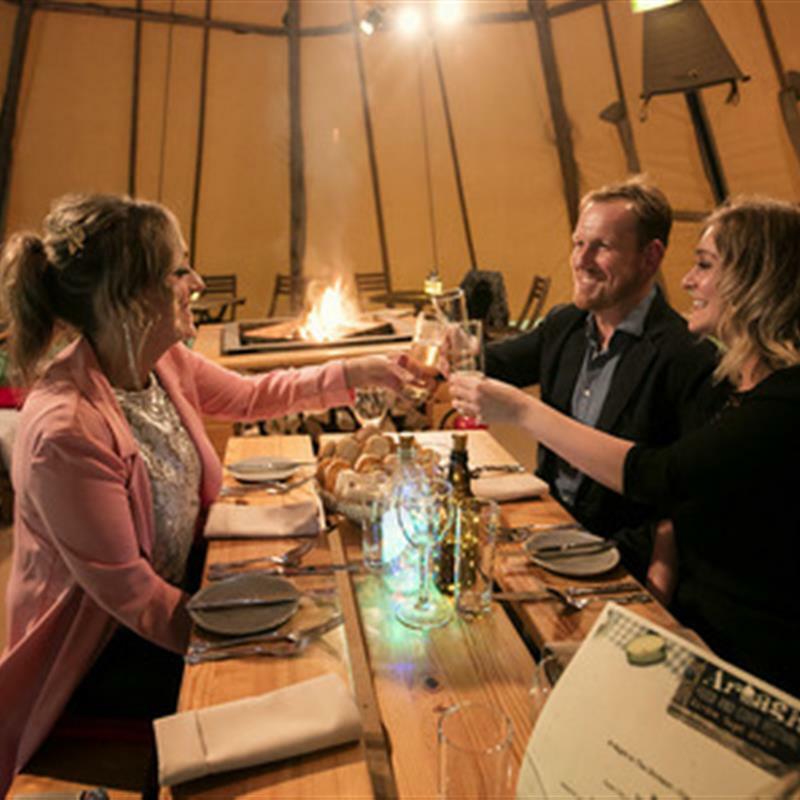 Dining in luxury tepees, alongside an open apple wood fire and surrounded by the picturesque natural environment. This is a unique foodie event not to be missed, set in stunning County Armagh cider country. Evening includes musical entertainment, ciders and wines. Booking essential, please note booking closes on the 17th September 2018. Free transport from Portadown and Armagh available on request. Stops at Richhill, Loughgall and Moy. To book transport please contact Denise Phillips. Email: denise.phillips@marketplacearmagh.com. Tel: (028) 3752 9600 ext 3435. Transport subject to availability.